Life goal: Appear as a contestant on Wheel of Fortune. Because yelling at the TV doesn’t win you a trip to a Prize Puzzle destination. 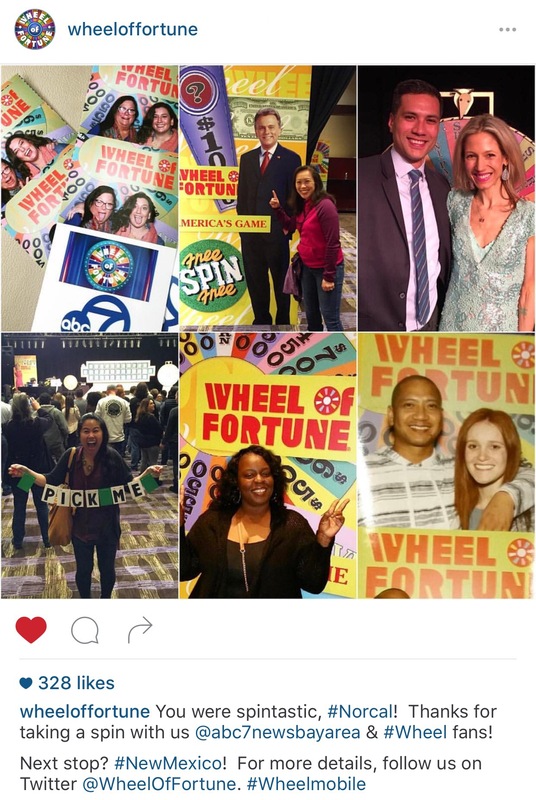 The Wheel Mobile came to town so Feyoncé and I tried our luck at scoring a live audition. Pat was there, as was Vanna; and I brought a sign. Despite my best efforts to cheer my way to get chosen for an audition, contestants were drawn at random, and neither of us were chosen. We had our interview responses ready to go, too! Boo. I picked up some good pointers from watching the live auditions so I should get to work on my Wheel video audition soon! Got an audition tip for me? Share below!